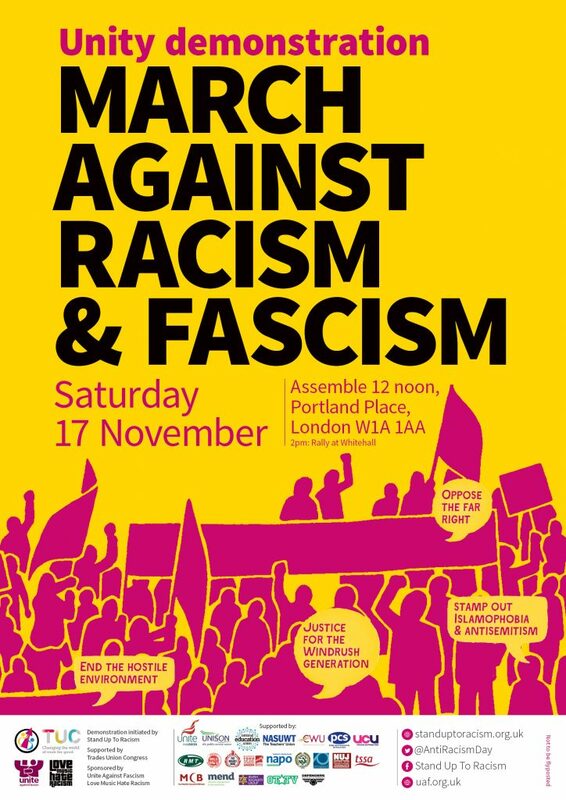 A number of organisations, unions and campaigners will be coming together in a national demonstration against the rise of fascism and racism on Saturday 17th of November in Central London. In its statement on October 29th, MAB raised its concern at the threat posed to society as far right narratives and politics, populism and racist trends make a comeback and appear to have become part of the decision-making processes in many countries. A recent poll showed that religious hate crimes are sharply up across the UK, with more than half of those targeting Muslims. Last year alone, hundreds of Mosques, Islamic and community centres were attacked, some with explosives, in one demonstration of how racism, hate and bigotry appear to have become the norm and tolerated in society. MAB calls on all its members and supporters to take part in the national demonstration on November 17, to make it absolutely clear that British Muslims will never accept, nor stand by idly, as any minority group is targeted.